The Park receives minimal public funds to maintain its 1,300 acres. Our ability to care for the Park’s historic oaks, beautiful gardens, family-friendly playgrounds, nature trails, golf courses, tennis courts, fountains, festival grounds, and pavilions is dependent on individuals just like you. There are many ways to help City Park. Join us as a financial supporter or volunteer and you can be a part of a community space that New Orleanians will appreciate for generations to come. 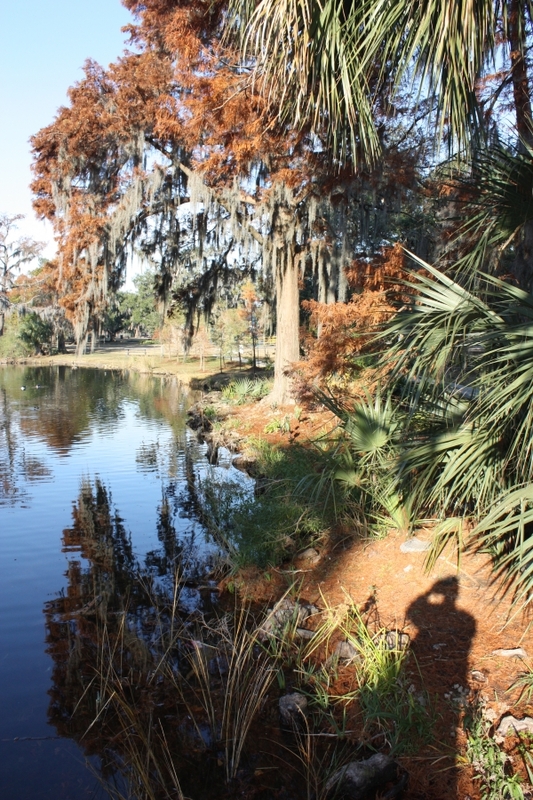 New Orleans City Park was founded 160 years ago in 1854, with a legacy gift from philanthropist John McDonogh. The McDonogh Society acknowledges those who have made a legacy gift to the Park. To learn more about leaving a legacy and becoming a part of the McDonogh Society please visit the Park’s Planned Giving Website found here. Information on making a legacy gift to the Park through your will, can be found here. Already made a commitment? Please submit the McDonogh Society form found here. If you have questions about planned giving, please email development@nocp.org. City Park’s Master Plan called for improvements including new bike and jogging paths, new tennis courts, a dog park, a great lawn, festival grounds and much more. With your help, City Park can be the top urban park in the country. Your capital gift can be reserved for any project that matches your interests with the needs and priorities of the Park. Capital gifts can be made in honor of or in memory of a family member or to celebrate a special event. Donations can range from four to seven figures. To inquire about making a capital gift to City Park, please contact the Park at development@nocp.org. 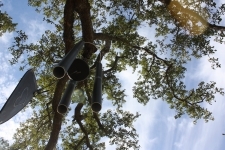 Add a little more life to City Park by sponsoring a tree. 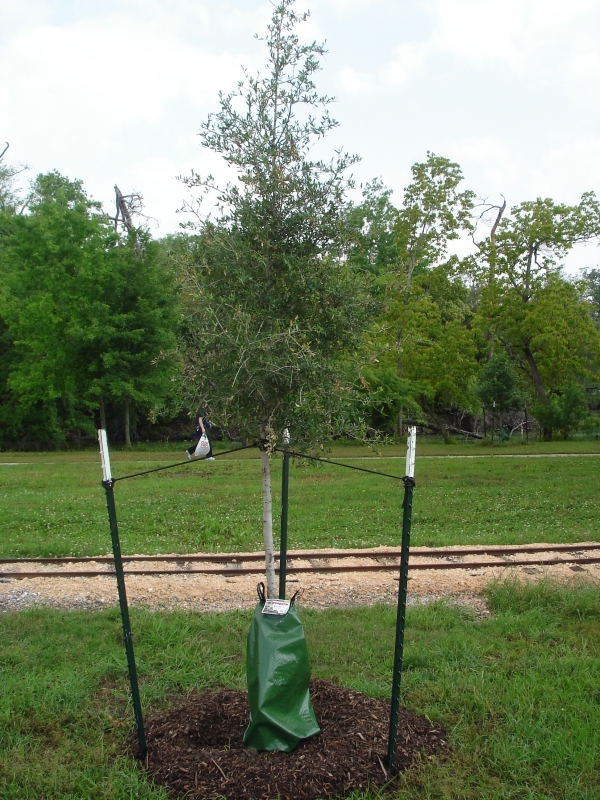 Thanks to generous sponsors, more than 6,500 trees have been planted in City Park over the past several years. The tree type will vary depending on the needs of the Park, but trees include oaks, magnolias, bald cypress, pines and palms. The Park makes the final decision on the location and type of tree. Each tree costs $1,000. After sending payment for your tree, you will receive a thank-you letter that can be used for tax purposes. After your tree is planted, you will receive a map indicating the location of your tree, as well as its GPS coordinates. A temporary tag will be placed on your tree for approximately six months. Trees are normally planted between the months of November and March. City Park also provides the opportunity to support large, established trees. Sponsorship levels include $1,500, $7,500, $25,000 and $50,000. For more information about sponsoring a tree, contact the Development Associate, Chenita at (504) 483-9382 or cpickett-amos@nocp.org. City Park is one mile wide and three miles long. With so much ground to cover, we believe you can never have too many places to rest your legs. 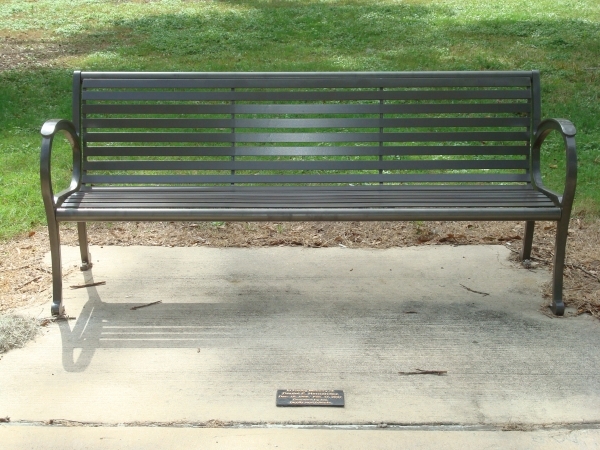 If you want to sponsor a bench, the park has two styles of benches throughout its 1,300 acres: a concrete Works Progress Administration era bench and a newer steel model. Sponsorship of a WPA bench is $2,500. Sponsorship of a new metal bench is $5,000. 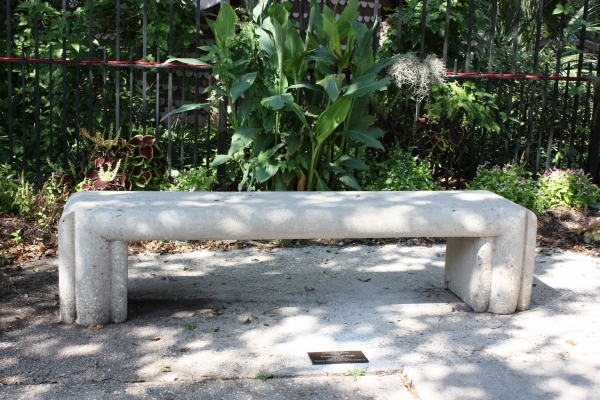 Your donation comes with a 4x8 inch plaque that is mounted at the foot of each bench. For more information about sponsoring a bench, contact the Development Associate, Chenita at (504) 483-9382 or cpickett-amos@nocp.org. 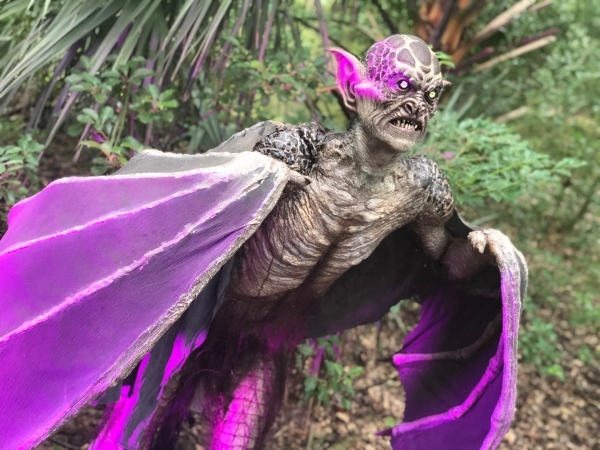 Our newest and largest fundraiser is Scout Island Scream Park. Partnering with The Mortuary, it's a 14 acre fright fest each October in City Park. Sposorship opportunities and donations are a popular way for companies and people to get involved in the best Halloween event on the Gulf Coast. For more information about underwriting levels and benefits of Scout Island Scream Park, please contact the Park at development@nocp.org. 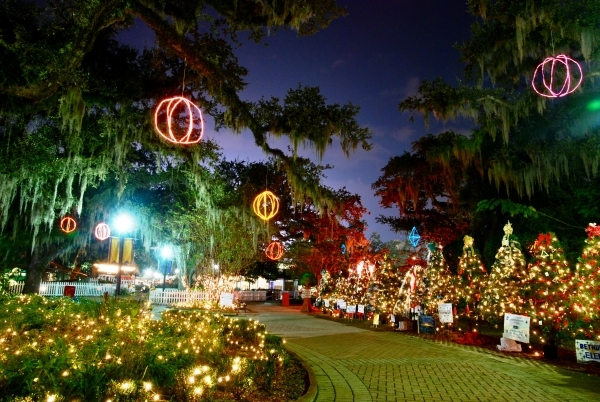 Celebration in the Oaks, City Park's annual holiday celebration, offers sponsorship opportunities ranging from $500 to $75,000. This event runs from Thanksgiving to New Year's and attracts more than 500,000 visitors each year. Depending on the level of your sponsorship, you or your company will be recognized in printed materials, on the Celebration in the Oaks website, in park publicity, and on billboards and other signage located throughout the park. We can structure any underwriting opportunities or options to suit the best interest of both Celebration in the Oaks and the underwriter. For more information about underwriting levels and benefits of Celebration in the Oaks, please call Julie LaCour at (504) 483-9415 or jlacour@nocp.org. Donors have given variety of gifts for unique projects within the Park. You can sponsor a garden or adopt an area of the Park. You can sponsor educational and environmental exhibits or new displays in our gardens and nature trails. Other examples include sponsorship of drinking fountains, exhibits within Storyland, or new rides in the amusement park. Prices range from five to seven figures. The best way to discover the perfect gift for City Park is by taking a tour of the Park. Our staff would be happy to give you a personalized tour! For more information about sponsorship opportunities and recognition benefits, please contact the Park at development@nocp.org. There’s no better way to honor a loved one than with a donation to City Park. Beneficiaries of donations will receive a special letter acknowledging the donor's gift in their honor or memory. While these donations contribute to the daily operations of the Park, additional tribute and memorial opportunities exist in the form of sponsoring trees and benches. Please be sure to indicate the person in whose honor the gift is being made and include their mailing address. If you have questions about an in honor/memorial donation, please contact Chenita at (504) 483-9382 or cpickett-amos@nocp.org. Many employers offer matching gift programs and will match any charitable contributions made by their employees. If your company has a matching gift policy, request a matching gift form and send it completed and signed along with your gift and we’ll do the rest. Your charitable impact may be doubled or even tripled. If you have questions about a matching gift, please contact Chenita at (504) 483-9382 or cpickett-amos@nocp.org. One of the greatest gifts you can give to City Park is time – your time. Volunteers are vital to the day-to-day operation and future of the Park, and we have jobs for volunteers in a variety of areas – from planting in the greenhouse and garden maintenance to monthly “Super Saturday” clean-up days. For more information, visit the Volunteer page. Other items in City Park are also available for sponsorship including picnic tables and bridges. Our Development Associate, Chenita, would love to speak with you about your particular sponsorship ideas. If you have questions about sponsorships, please contact her at (504) 483-9382 or cpickett-amos@nocp.org.